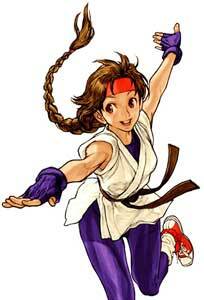 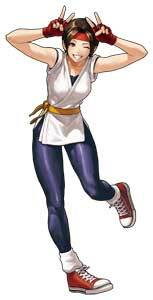 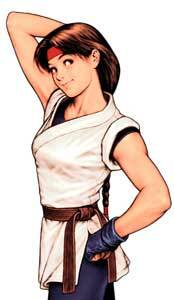 Yuri Sakazaki debuted in the classic Art of Fighting (1992) as the kidnapped sister of Ryo Sakazaki. 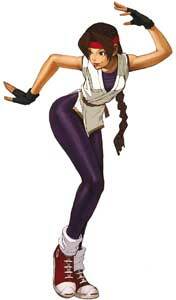 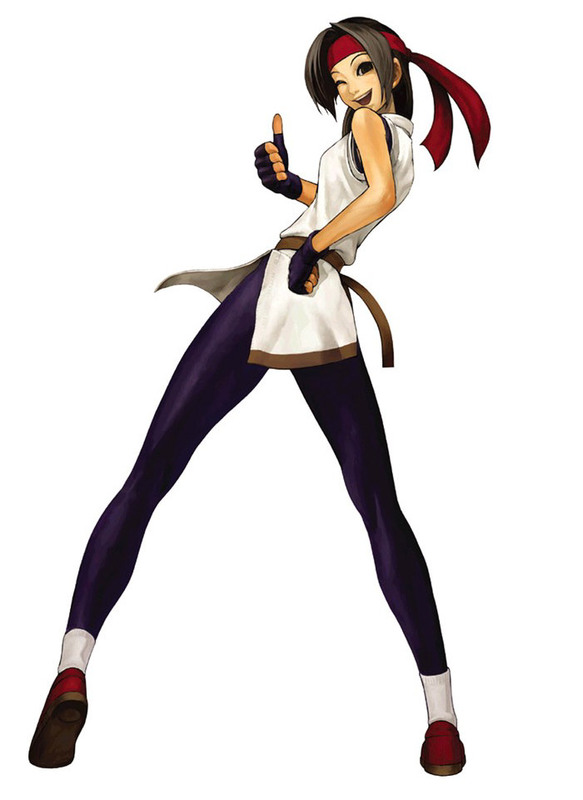 Yuri became a playable character in the direct sequel Art of Fighting 2 (1994) and in SNK’s new crossover fighting game The King of Fighters’94 in the same year. 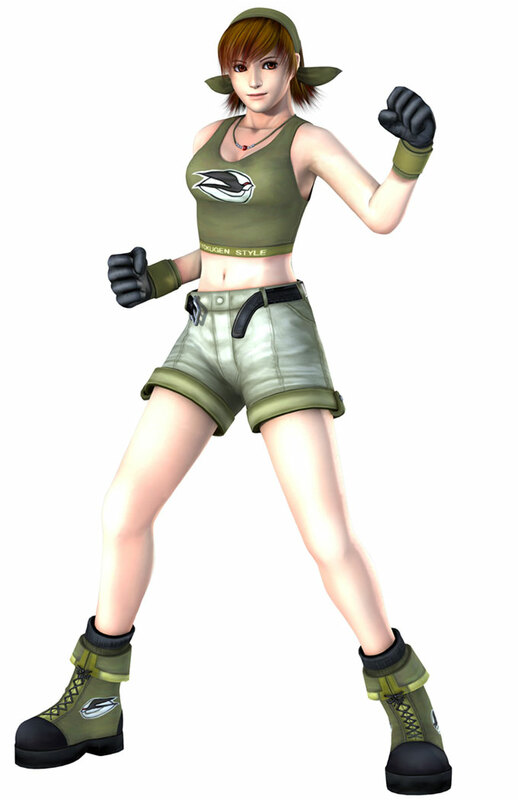 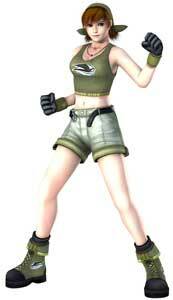 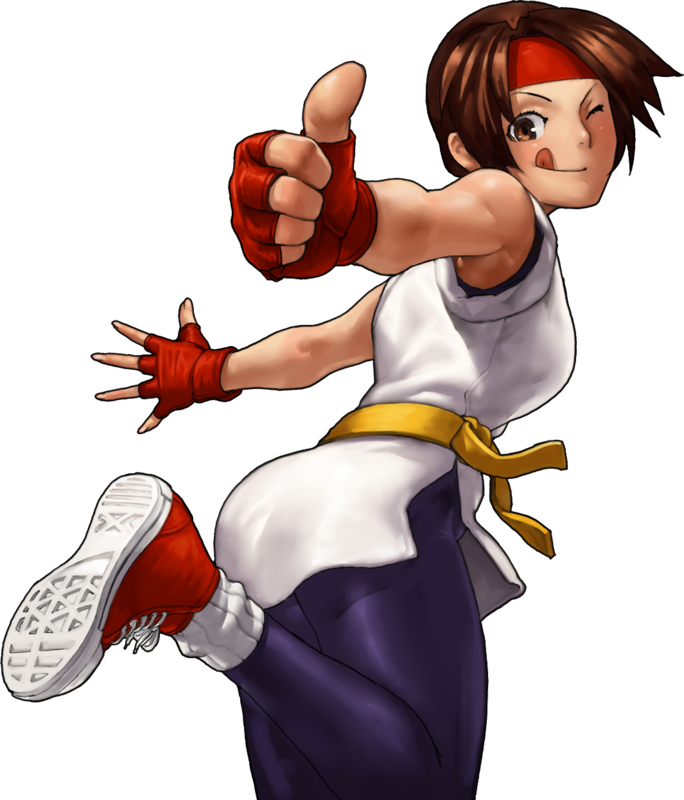 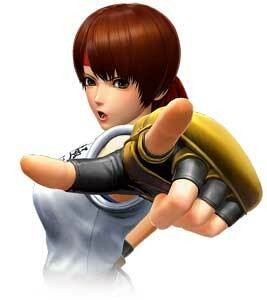 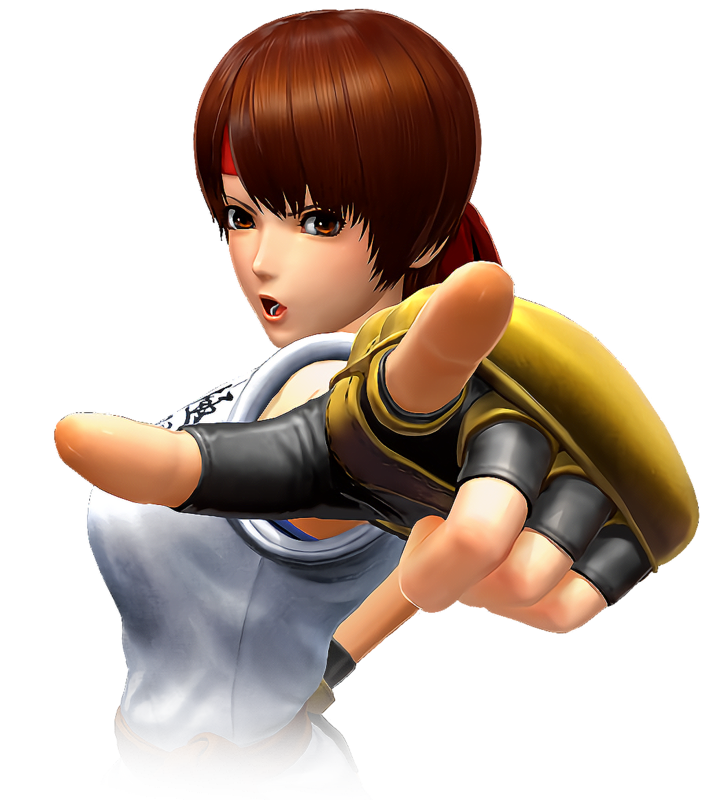 While she only returned as part of the endings in Art of Fighting 3, she returned in almost all The King of Fighters games and also the Capcom vs. SNK crossover fighters in 2000/2001. Often as part of the “Womens Team” and sometimes as part of the Art of Fighting team together with her brother and Robert Garcia. 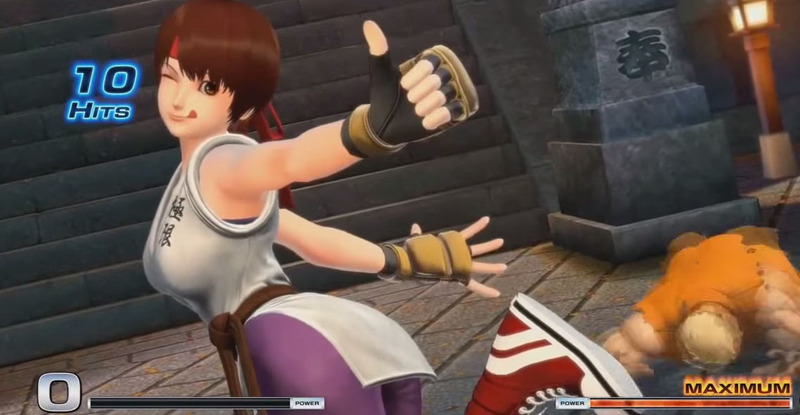 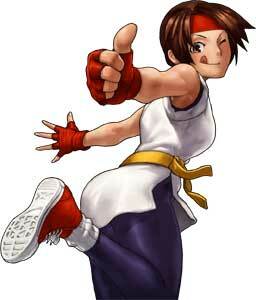 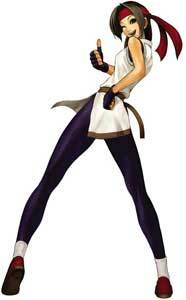 Like the two AOF main protagonists, she has in general a “Shoto” playstyle. 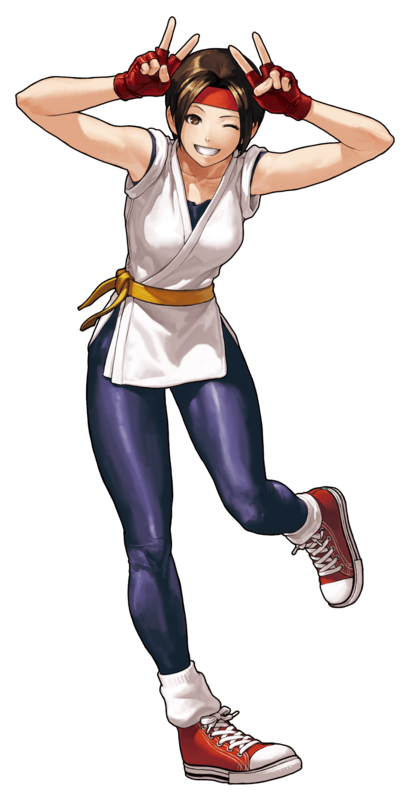 Yuri Sakazaki is a part of our 20th Anniversary of KOF Tribute we made in 2014.